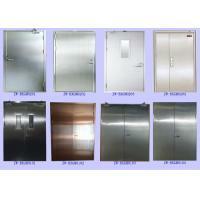 Zhongwo Stainless Steel Fire Door is made of high quality 304/201 stainless steel sheet with fireproof perlite board as infilling material, of which the density can reach 480kg/m3. 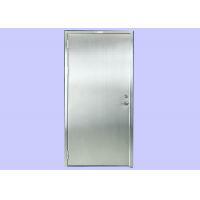 304/201 stainless steel contains elements of Nickel and Chromium which ensures the high corrosion resistance performance, thus Zhongwo stainless steel fire door provide you with longer operation life. It remains high yield strength and creep strength even at higher than 900℃,therefore it can effectively avoid explosion in case of fire. 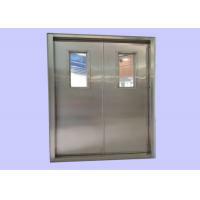 All of our stainless steel fire doors are in pocession of CCC according to China national Standard GB12955:2008, which indicates the ensured quality of them. Accessories of us are all top brand in China. 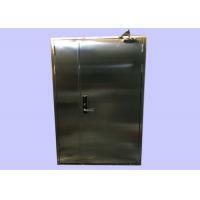 We can also equip ironmongeries as your request. 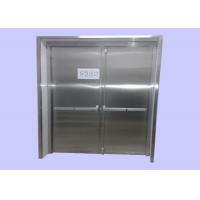 Size Standard: W1000X H2300(mm); 700X 2300(mm) or Customized As Your Request. All of our fireproof perlite boards must reach level A1 of the combustion performance standard according to GB8624-2006 and level ZA2 of toxicity standard according to GB/T20285-2006. Besides, the density of our fireproof perlite board is in top quality, originally it reaches 472.6kg/m3, by drying treatment it still remains457.3kg/m3, which are both great higher than the standard of 420kg/m3. High Anti-Explosion Performance It remains high yield strength and creep strength even at higher than 900℃,therefore it can effectively avoid explosion in case of fire. 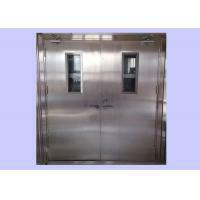 High Anti-Corrosion Performance Thanks to the nickel and chromium elements in 201/304 stainless steel, oxidation process inside the fire door can be so obtuse as to non-oxidation. Man can even say that in dry circumstances its service life can be unlimited. Top Fire Insulation Performance Average temperature rise of unexposed surface reaches 94.2℃, highest temperature rise at single point reaches 148.6℃, both are far away lower than the standard of not beyond 140℃ and 180℃. 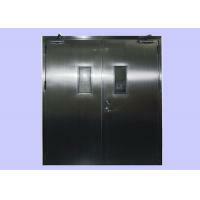 And the highest temperature point on door frame reaches 140.8℃, also much lower than the standard of not beyond 360℃. High Fire Integrity Performance After fire test reaches 1.5 hours the flame on unexposed surface of our fire door sustained no longer than 10 seconds. 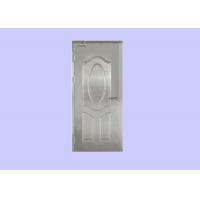 Small Door Leaf Opening Force Door leaf opening force of our stainless steel fire door is no more than 66N, which is much smaller than 80N according to GB12955-2008. 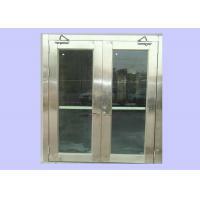 Customized Products Nearly all of our stainless steel fire doors can be customized as your request. 1. 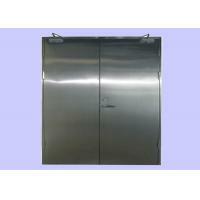 Matured packaging team consisting of professional and well-trained packaging staff with quality packaging materials. 2. Quick delivery within 35 days since transfer confirmed. 3. Reliable and professional logistics services which are all in long-term cooperation with us. 4. 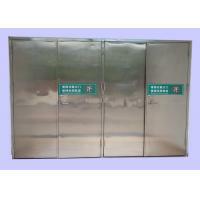 After-sale service: Any questions or problems after receiving the product, please feel free to contact us. Problems would be solved for you immediately.